School’s back in session, so that means it’s time for Honor Flute Choir! Big flutes, small flutes, C flutes, we’ve got it all. Also, we had a special guest conductor this year who gave a fantastic flute masterclass, and I was lucky enough to be able to play for her. Back in Boise, and it’s time for the BSU Chamber Music Camp! 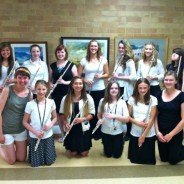 I got the chance to work with a bunch of great flute players, and along with learning a ton, we had so much fun! Hello! Welcome to my new artist website! 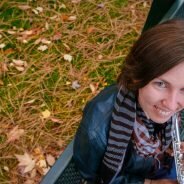 My blog posts are designed to keep you up to date on my teaching and performing activities – basically anything important going on in my flute life. 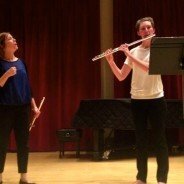 I’m excited to be at Boise State University getting my master’s degree in flute performance, and I know that possibilities are everywhere when it comes to creating, collaborating, and sharing music. Explore the site, let me know what you think, and stay tuned for more posts in the future!